I decided to try a crepe from a street vendor the other day. 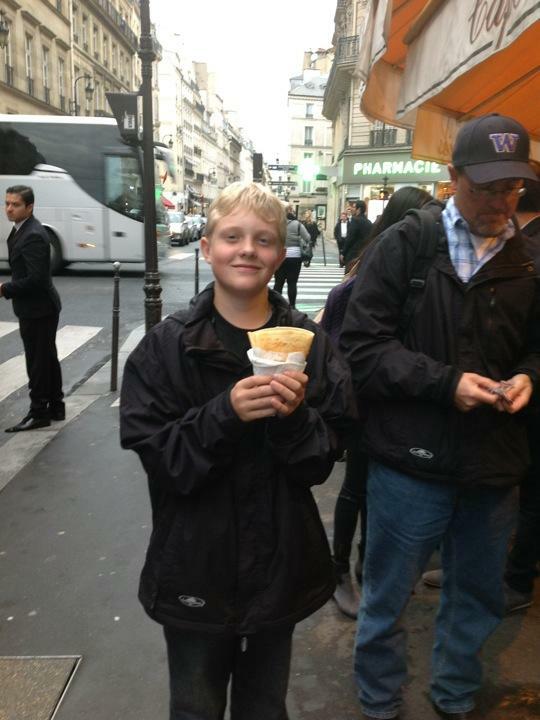 The vendors are in front of some of the restaurants and they make the crepe right in front of you. You can get them with butter and sugar (like I did) or with other toppings. If you are in Paris try them, they are great!!! !